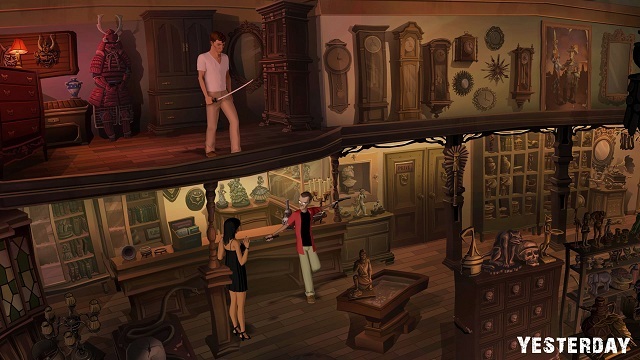 In 2012 the point n click adventure game of yesteryear saw a true resurgence. This return to a beloved game form that had been more cultist and present over in Europe for the last few years started making mainstream breakthroughs with the success of Double Fine’s Kickstarter. That success brought forth a lot of other old guard to bring their games to life such as Jane Jensen of Gabriel Knight fame, Chris Jones & Aaron Conners of Tex Murphy fame, The Two Guys From Andromeda, Al Lowe, all popped up on Kickstarter. Not to mention a bunch of other folks with new ideas for point and click adventures with new Ips such as The Last Door, Homestuck Adventure, Jack and The Necronauts and more. Some games on Kickstarter actually preceded DFA successfully and they’ll be discussed shortly as I analyze some of my favorite adventure game experiences of 2012 and early 2013 with a look forward to what the rest of the year will bring. In some cases I’m thinking it might be best to just link to my review that already exists with maybe a single line from it. It was also one of those games that got its support on Kickstarter and before DFA, so it was a long time coming and came out great. 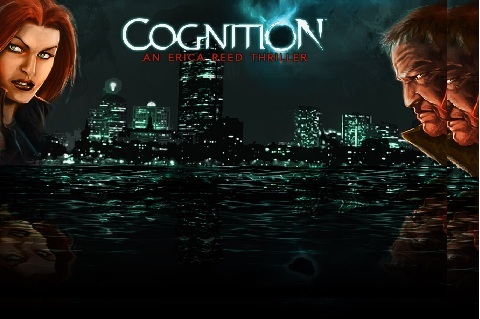 Cognition-An Erica Reed Mystery: Two chapters of this game episodic game from Phoenix Online Studios (creators of the excellent Silver Lining which started as King’s Quest fan game) that also found its backing on Kickstarter. The first chapter “The Hangman” introduced a great world, story, characters and intriguing gameplay. Chapter two kept up the great writing and story, but the mechanics and puzzles definitely suffered. I have more to say on this and hopefully will, but despite many flaws in Chapter 2’s “The Wise Monkey” I am still excited and interested in the continuing story and how it will all come together in the end. 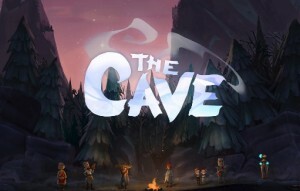 The Cave: Double Fine’s first new game of 2013 and it’s first to launch on PC, Xbox, PS3, etc. on the same day is a strange creature. Not fully an adventure game despite it’s marketing, not completely a platformer even though it works like one, it’s got its great own little niche. The kind that one has expected from a games company whose yet to make a game that can actually be classified as they all had elements of adventure, puzzles, platforming, action and other gameplaying tecniques. The Cave’s graphic design and abstract puzzle design shows that the team is still rooted in its Lucasarts beginnings even as it branches out from there. Kentucky Route Zero-Act 1: Another project that started out on Kickstarter, it is less point n click adventure and more interactive visual fiction, but that doesn’t take away from it’s amazing use of art, game mechanics and storytelling to create an excellent “game”. If you haven’t given this one a go you’re really denying yourself an experience worthwhile. The Ballads of Reemus- When the Bed Bites : I amazingly never wrote an actual review of this, but I did shoot an unpacking video showing my pure excitement for it. Made by Clickshake games this was the promise of an epic after many successful flash games and they delivered on their promise. Amazing artwork, great vocal work, intelligent puzzles, amazing humor. I wish there was a way they could do their games like this more often instead of simpler although that takes nothing away from their more recent production Wentworth which must been played. Screen 7 Summerbatch: This amazing bundle offered four games of varying style, but all old school point n click. I loved everything about this. This is one where I must direct you straight to my review. Unfortunately only one of the games in the bundle are available (and for free), but the creators of the games have other games they’ve made that are available and if you go the main website and click on each developer you should find something worth your time if you really look. Botanicula: The weird, fun, awkward work of Amanita Design followed up on Samorost so nicely. This isn’t your typical point n click, but it’s still totally a point and click game in that there are puzzles to figure out, things to click on and even “conversations” in its own strange way. Visually it might be my favorite of all the games I played in 2012. Papo & Yo: It’s hard to argue Papo & Yo as an adventure game as it has platforming and action elements, but it really is an adventure game as well as interactive fiction. Unfortunately it’s also a Playstation exclusive and a PSN exclusive at that. I could see the game easily ported one day to PC though here’s hoping for all those who didn’t get to experience it. Da New Guys: This humorous wrestling classic point n click was another awesome exciting adventure for me in 2012. I just had a lot of fun with it, but my review will let you know even better. Shadows on the Vatican Act 1: Part of this episodic drama is a balance of easy and hard with comic book style art and old school point n click, along with some of the newer additions to the genre over the years and some of the less appreciated puzzles of yesteryear as well, but none of them so bad that you’d not want to continue the tale and see where it is headed. Like Cognition, a big story is being told here in long chapters instead of one enormous game and it’s a story I’ll be following. Deponia/Chaos on Deponia: From Daedelic, another Germany company with a track record of well animated, classic style point n click, these two games are the first two chapters of a trilogy of a steampunk comedy fantasy. 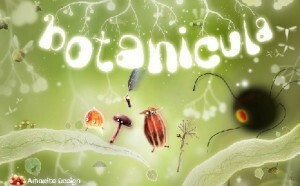 Daedelic’s games are actually quite difficult, with puzzles that can really stump you and scratch your head. This isn’t a bad thing, but it has meant that I haven’t even beaten by Chaos yet and I might not by the time their next game comes out. Yesterday: The last game from Pendulo Studios before focusing on remakes of their older games and trying to find the eventual funding for their next and possibly largest adventure, this horror themed adventure had a lot going for it. Albeit short and obscenely easy from a puzzle standpoint, it still had the great CGIesque art Pendulo has become famous for as well as their unbalanced, but funny and intriguing storytelling. It’s not one to be skipped. Double Fine Adventure/REDS: I’ll have lots more to say about this in a forthcoming much delayed Kickstarter experience article, but a quick note to tell you this is going to be one to look out for. This game in my mind will definitely be coming out and while The Cave has received mixed reviews, I expect the gaming community to really fall for this in a big way. Moebius: The first game from the new Jane Jensen spearheaded Pinkerton Road feels like it’ll really one to watch for. Jane never really disappeared from games making, but her last game as full on writer was the much muddled and production delayed Gray Matter. Other than that she’s helped direct and design lots of casualesque adventure games as well doing consulting for Cognition. This is her first big return to the stage making the game she wants to make. It should be exciting. 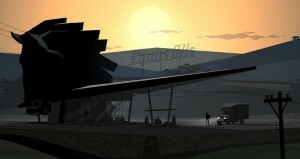 Kentucky Route Zero Chapter 2: As it’s planned to be released in chapters, of course I am very excited to see what the next chapter of this will look, sound, feel like. Reincarnation-Root of All Evil: The flash games for the series about a little purple demon who takes the souls of evil for hell have all been amazing. I really look forward to seeing what a full fledged game will be like. The last truly classic feeling point and click he did was years ago and it was awesome, yet hard, which their small games are as well, but they look great and are fun. Shadows on the Vatican Act 2: I feel really grateful that I got a free pre-order on this through a bundle as a secret surprise bonus, but if I hadn’t I’d totally ended up buying it when it came out. Really good story, awesome art and in part 2 the promise of controlling two characters for the whole game instead of just a portion? Sold. Lifeless Planet: This was a project that launched on Kickstarter before the DFA explosion so I missed it, but as doing research this sci-fi 3D epic looks promising. I could go on and on with games such as the new Broken Sword, the new Tex Murphy, Beyond Two Souls from the makers of Heavy Rain and more. I just love that my favorite genre is alive!